People naturally seek out others for solace and support during difficult times. Especially children who are still discovering their emotions and how to deal with them. Teachers interact daily with grieving students but in the case of major life events such as the death of a family member, teachers can help most by simply being present with and attentive to grieving students as they express their feelings. The response — or lack thereof — from school staff, teachers, and classmates creates a critical frame of reference for a grieving child. This doesn’t mean that you need to serve as a grief counselor. Teachers are not expected to provide a therapeutic environment for a grieving student. Instead, they should foster a supportive environment — and refer grieving children to specialists and other support services when appropriate. For more information on how to support a student grieving the loss of a friend or a family member, please check out this link! You can also take a look at the National Center for School Crisis and Bereavement which is dedicated to helping schools support their students through crisis and loss. Parents, teachers, and other caring adults can help children and adolescents cope with stressful events and build resilience in several ways. Provide children and adolescents with opportunities to share and discuss their feelings and concerns. This enables parents and other caring adults to correct any misinformation or misperceptions and to provide reassurance about safety. Encourage children and adolescents to resume normal roles and routines or develop new routines. Students feel safe and secure when their activities are not always focused on the negative events. Maintain social connections. Students’ friendships and social activities are important for normalizing children’s and adolescents’ lives. Reduce or minimize students’ exposure to upsetting images. For example, after a disaster eliminate viewing without an adult present, restrict media viewing, discuss news shows and other programming with children, and actively encourage alternative activities (e.g., reading, athletic activities, games with friends). Encourage students to stay healthy and fit by eating well and getting regular exercise, play, and proper sleep. Maintaining good health is important for coping with stress. 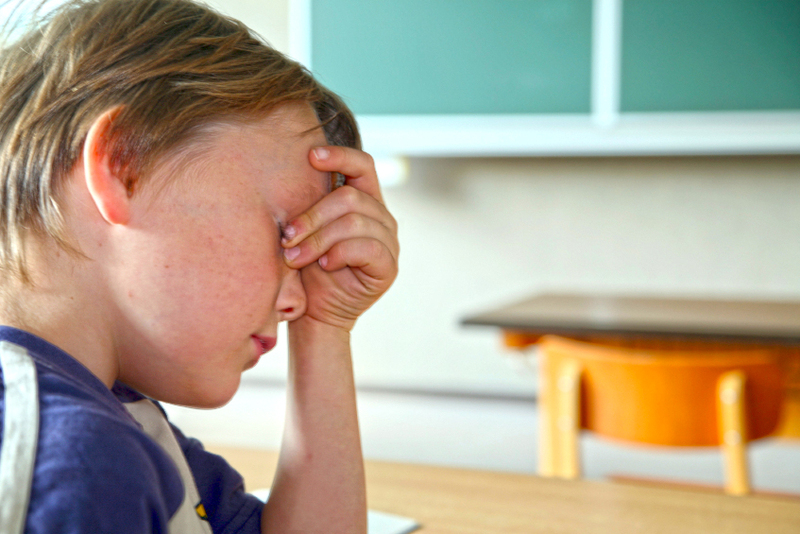 Encourage students to use positive strategies for coping with stressors that ensue. Parents and caring adults may also model positive coping for children. Avoiding discussions of distressing events. Parents and other caring adults may think that children are not bothered by events or that discussions of events will be upsetting to them; however, this may make the student to feel like their emotions don’t matter and may lead to missed opportunities for sharing and support. Pressuring children to talk. Create a positive, receptive atmosphere for discussions, and let children bring issues up as they choose. Occasional direct questions about how a child is doing will communicate to the child that the parent or adult is interested. When a child loses a parent whose job is to keep the child safe and provide for basic needs, feelings of real fear can result. Children worry about the surviving parent and often wonder what will happen to them if this parent dies too. The surviving parent may be grieving and perhaps unable to focus on the needs of the child for a time. There are children who continue to perform well in school following the death of a significant loved one. These children often go unnoticed. They may use the tasks of schoolwork or sports to block out painful feelings and thoughts, or they may feel a need to excel because of a feeling that the parent is watching them and want to show the deceased parent how much they care in this way. This type of response to loss can result in stress-related health problems later in life, as well as potential physical and emotional difficulties from unresolved grief. Also, be realistic about expectations for academic achievement. Remember that some children continue to have academic difficulties up to 2 years following a death, and sometimes beyond. Allow make-up opportunities and affirm the child, regardless of academic performance. Death can be a confusing concept for students, especially youngsters to understand. Every child grieves differently. There is no set way that we know kids handle the loss of a loved one. Sometimes children or teens are upset but they cannot tell you what will be helpful. If they are acting out, it may be because they’re feeling intense emotions of grief. Be aware that an adult is the role model on how to work through grief. Children and teens will copy the coping skills of the adults in their lives. Here are more resources on helping children, teens, and young adults cope with death and grief. Understanding and addressing the needs of grieving students is seen as part of the professional role of educators and other school personnel. Become a member of The American Academy of Bereavement today to find more resources on grief.